Nifty and Bank Nifty 90 min charts are shown. 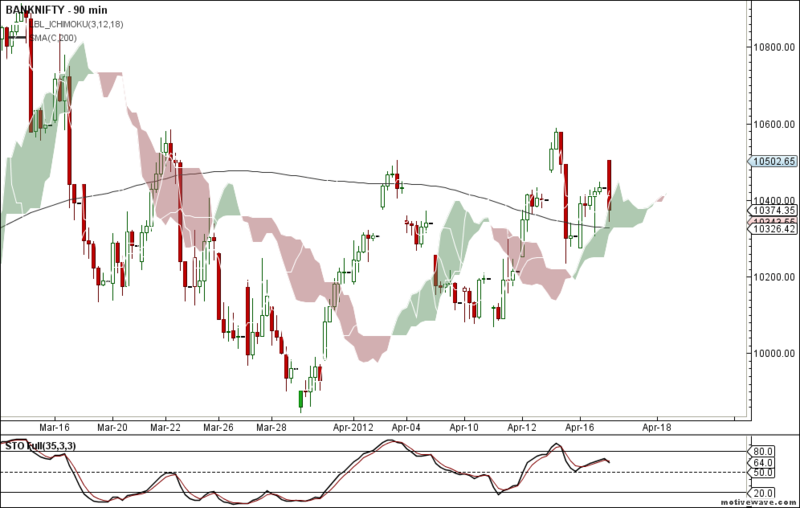 Nifty is continuing its sell mode with cloud resistance coming near 5264 and 200MA resistance at 5299. Its better to take positional long above 5300. 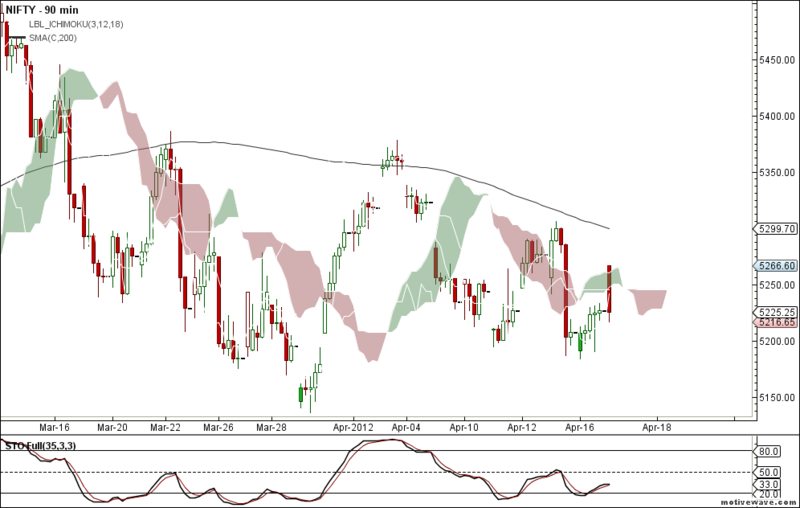 And Bank Nifty is still in Buy mode and trading very close to the cloud support and 200MA support 10326. Breakdown warns trend reversal in Bank Nifty. Nifty and Bank Nifty 90 min charts for 10th May 2010 Nifty and Bank Nifty 90 min charts are still in positional shorts since last Thursday and currently the cloud resistance is coming near 5104 and 9848 respectively. hi where can i find the monthly pivot points for all F&O stocks and index? So far I think it is working very good. It is for day trading. However I think if this setup comes around buy/sell levels mentioned in your 90 minute charts, then it may be double confirmation for a swing trade lasting few days. Also when Nifty turn into buy mode and setup forms at next day open, then it is beginning of a powerful move.